atlas brown, at the end of 2012 decided that it was time to share her story with the world. The short-story turned novella is a testament to women that have risen to the top despite family issues, abandonment, and low-self esteem. Charlie.Browne.2.Butahflies.&.Painky.Lillies was written at Amsterdam Coffee in Dallas, Texas in 2004-2005. The short story and novel will be available to the public, shortly – Stay tuned for updates! To be creative and politically correct, kYmberly Keeton went against the grain and accepted her alter-ego. 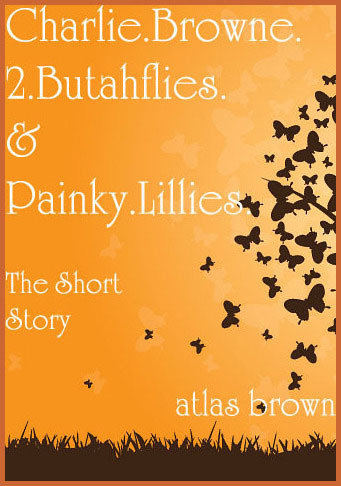 Cool, calm, and collect… atlas brown channeled in her creative allure and helped culminate the eclectic literary experience that is birthed on a daily basis in the mind of an academic nomad. atlas brown writes about life with no inhibitions — the outcome is always the prize.